DESCRIPTION: The Fiberlite Technologies website was designed by REDdot Marketing and developed by PTC Computer solutions. 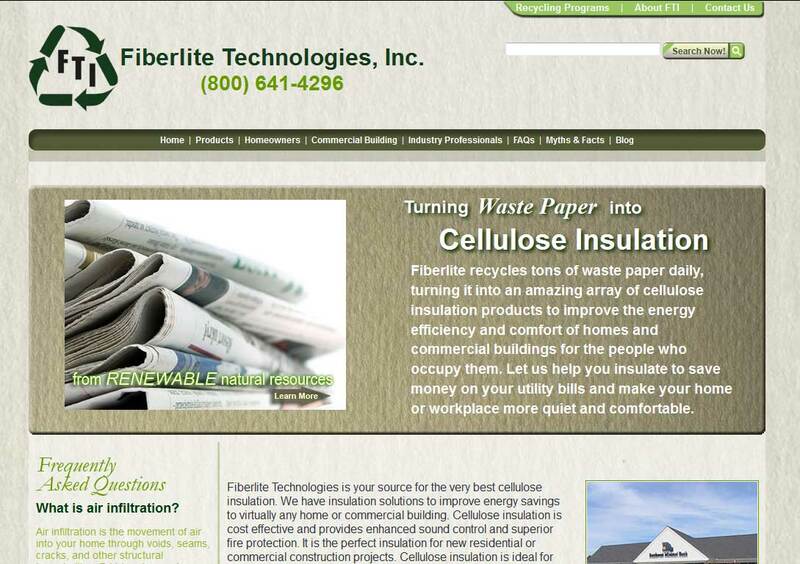 Fiberlite Technologies is your source for the very best cellulose insulation. We have insulation solutions to improve energy savings to virtually any home or commercial building. You can find out more by going directly to their personal website, www.fiberlitetech.com, or contact them directly at sales@fiberlitetech.com or (800) 641-4296.